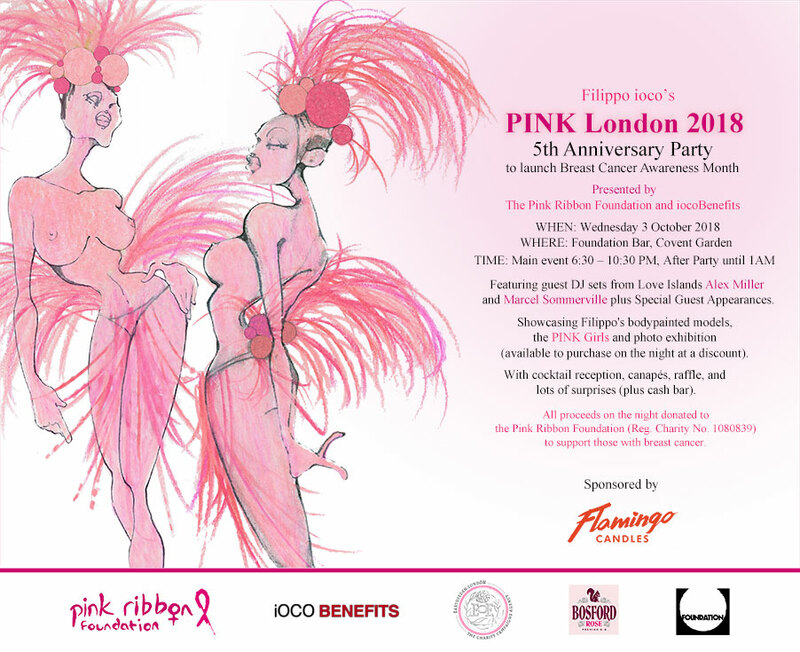 Welcome to the 5th Aniversery Party of the popular Bodypainting Photo Exhibition and Cocktail Party launching Octobers Brest Cancer Month and benefitting The Pink Ribbon Foundation UK. 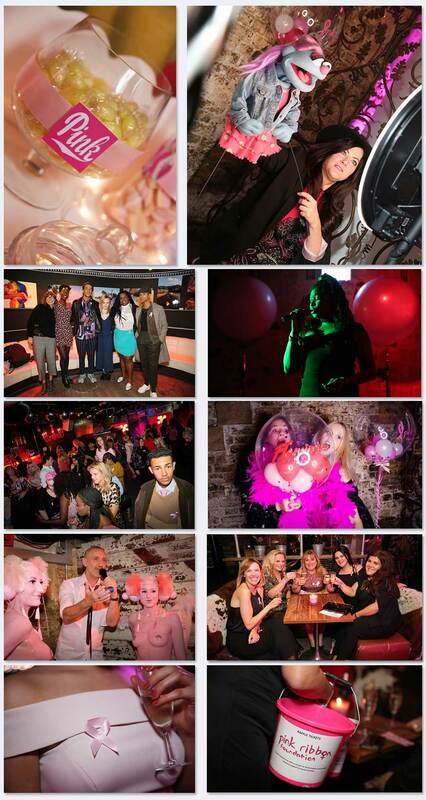 Featuring the PINK Girls, Live Music and much more. 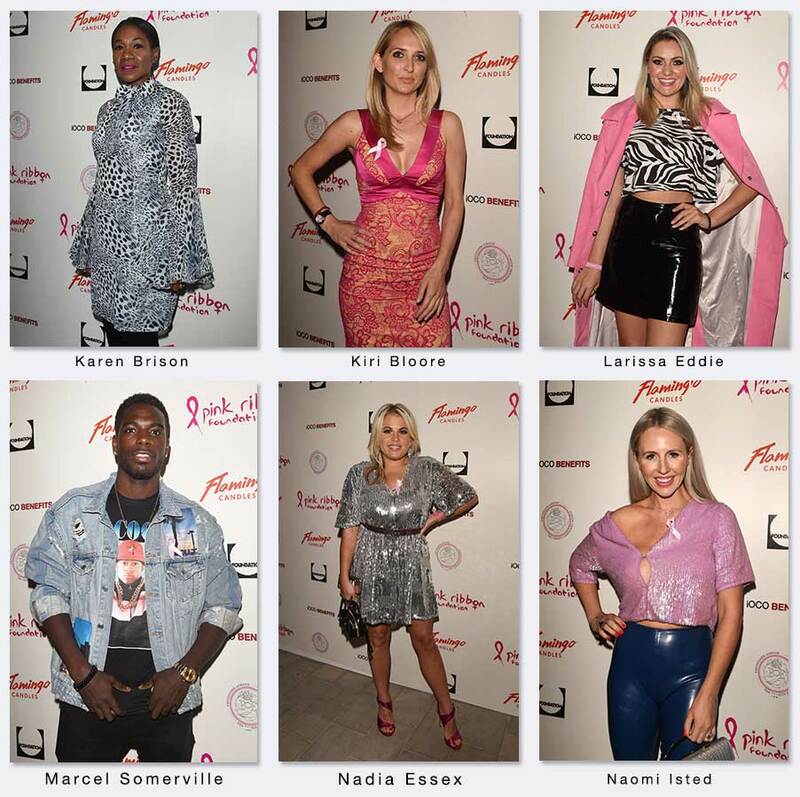 A special thank you to the team at the Foundation Bar for their amazing support and for hosting the fifth annual PINKLondon party – special shout out to Mark who has been brilliant. We would also like to take this opportunity to acknowledge and thank all of the companies listed below who have made a valuable contribution to this evening’s success – we look forward to working with you again next year. We would also like to give special thanks to the artistic team: Vanessa Edwards, Laura Steel, Faye Bluff, Stine Turner and Victoria Gugenheim. Models: Earl Ramsey, Teresa Goddard and Sophia Attias. 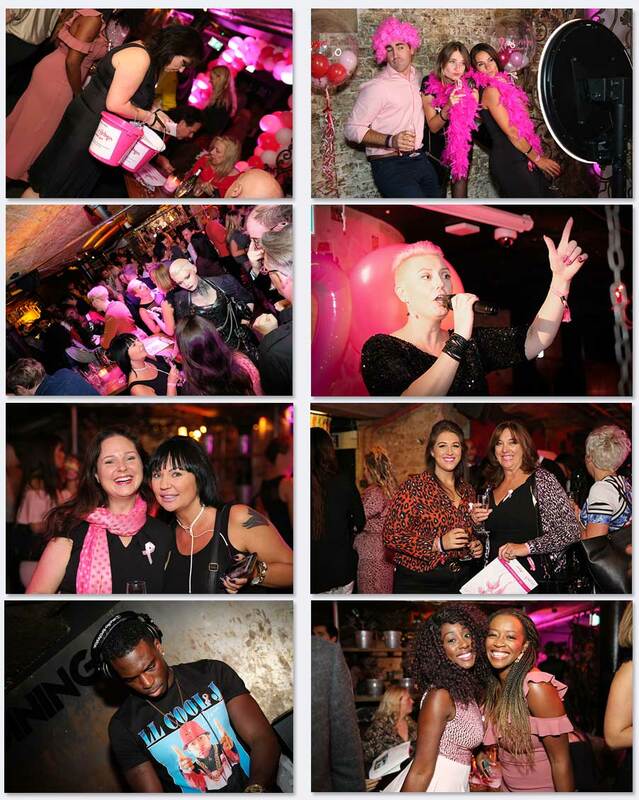 Our fabulous DJ line up for providing the backing track to PINKLondon2018. Nick, Emma, Peter and the rest of the team at East of Eden for being as passionate as us! Friends and family who have supported our efforts and to everyone else that may not be mentioned here (due to print deadlines), but whose contribution has been invaluable.